This week I’d like to briefly address a challenge that almost every business faces when it comes to their online marketing: Transitioning folks from a casual website visitors to an engaged prospects. Getting folks to visit your website is challenge enough, but if those people spend just 30 seconds on your site and then bail, all the hard work you put into attracting them is all for not. First, the bad news. 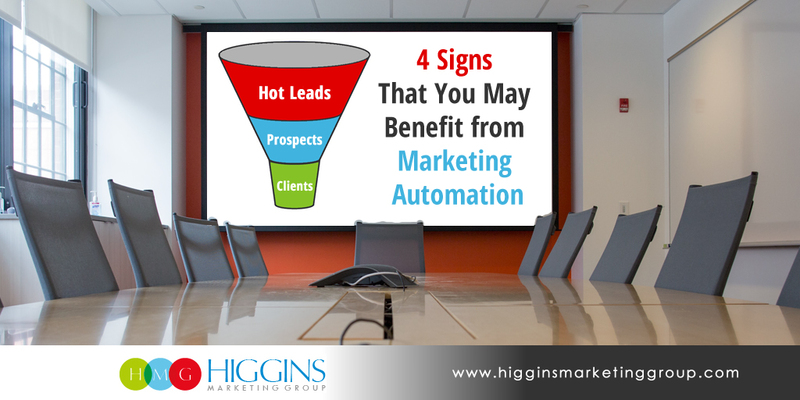 You’ll never be successful in converting 100% of your website visitors into sales leads. It just won’t happen. Maybe they found your site by accident, maybe you’re just not what they were looking for, maybe their computer crashed… who knows? But here’s the good news. 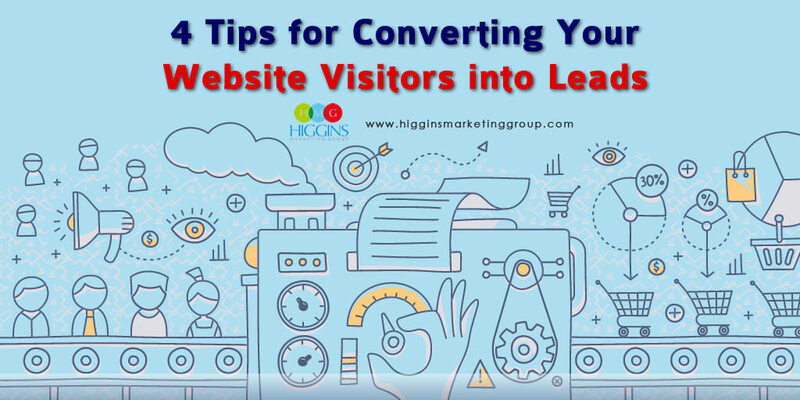 There ARE specific things you can do on your website right away that will increase conversion. 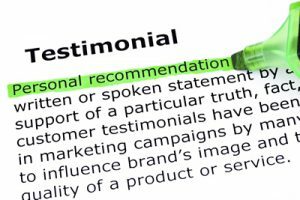 Product testimonials show your website visitors just how much value your product or service has added to other people’s lives. While many companies use testimonials, most only include short reviews or one sentence comments, which I believe takes away from their authenticity. Why do I say this? 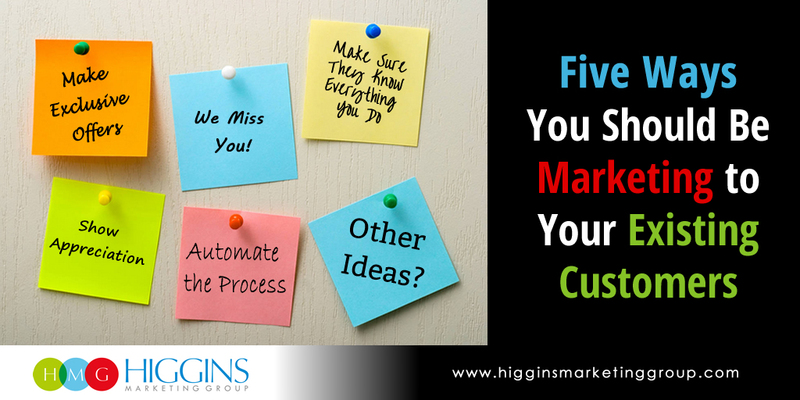 Your visitors won’t get any meaningful sense of who the testimonial comes from or why they sought out your company in the first place. As sad as it sounds, many people are like lemmings; they follow the crowd, no matter where it takes them. In other terms, people tend to think, “If a lot of other people use this product or use this service, then I should too.” So it behooves you to show potential customers just how many people are using your product or service. This may sound similar to using testimonials, but whereas testimonials focus on individual experience (qualitative data), converting “bandwagon jumpers” relies on raw numbers (quantitative data). For example, your website could highlight how many people switched to your company in the last year or the last month. This will kick in the “I should probably get on-board too” instinct and help to generate more sales leads. People love getting things for free, especially if it truly adds value. 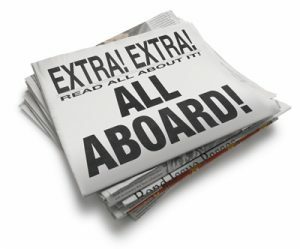 If you’re not already offering a free lead magnet (i.e., whitepaper, training video, checklist, ebook, etc. ), make this a priority in the near future. Simply create something of value to your audience and offer it for the price of some very basic contact information, like name, email, and company. While it’s not a sale, it’s a valuable first step in creating a relationship with your prospect. 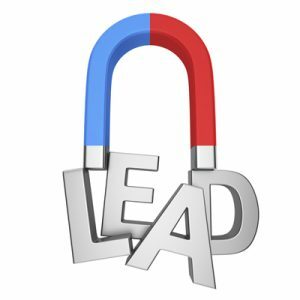 Remember, the quality of your free lead magnet is a direct reflection of the quality of your work/product, so take the time to produce something of high quality. Make it easy for your website visitors to stay connected with you. You can accomplish this by including one or more signup forms on your site. Often these forms will allow visitors to sign up to receive new blog posts, receive updates on products and services, gain access to discounts, etc. 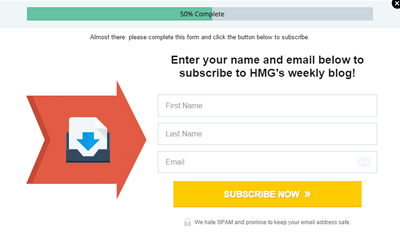 Make sure your signup forms are prominent on your site, but at the same time, be careful not to interfere with your visitor’s site experience. Just like the contacts you collect by offering free lead magnets, these aren’t exactly hot prospects yet. However, you now have the green light to begin communicating with these people and nurture those relationships over time!